Whether work follows you out of the office or your office is wherever you happen to be, you can’t be tied down. You need to edit documents, access files, track projects, and more, from your laptop or from any major flavor of mobile device. Here are the tools anyone needs to get work done anywhere. We have to mention Office 365, but we also have to note a few caveats. With a one-year subscription ($100), users get access to all of Microsoft’s programs on up to five Windows or Mac computers, plus mobile access on up to five smartphone and tablet devices. Apps are available for Android and iOS, and the app is preinstalled on all Windows Phones. Office 365 has a big cross-platform weakness: the limited apps for iOS and Android. That said, using Office 365’s companion apps on Android and iOS is a bit of a nightmare, with feature omissions and weird quirks plaguing the overall experience. Perhaps worse, you can’t use Office Mobile on your iPad or Android tablet, so owners of such devices are shortchanged. 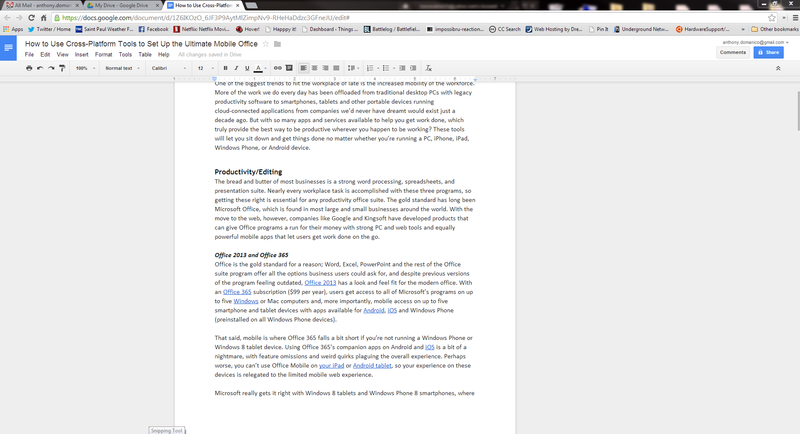 When PCWorld reviewed Kingsoft Office 2012, we called it the best Microsoft Office alternative you’ve never heard of. And you can’t argue with free. The 2013 version boasts further improvements, including a ribbon interface that looks and acts astonishingly like that of Office on the PC. 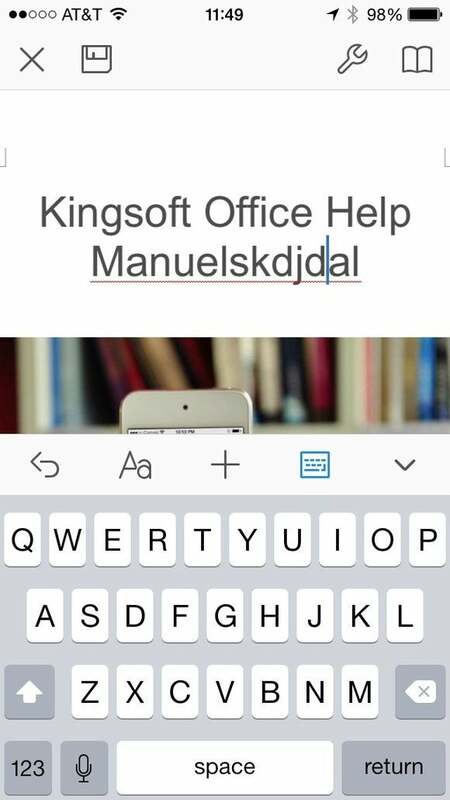 Kingsoft also has good mobile apps for iOS and Android. Kingsoft Office isn’t perfect, however. Although you can open documents in all Office formats, including the newer .docx format for Word documents, you can save them only in the older .doc format. Google Drive includes a powerful word processor, spreadsheet creator, and presentation maker that you can use anywhere you have a Web connection, or offline with any device running the Chrome browser. And unlike Office 365, Drive provides solid mobile applications for Android and iOS. You’ll find an app for Windows Phone as well, though reviews on it are mixed, and the app was functional but a bit buggy in our experience. Google Drive is a cloud-storage service and a remarkably full-featured (and free) Web-based productivity suite rolled into one. Of course, Google Drive also offers a fully integrated cloud-storage platform with 15GB of free storage space and the option to add 100GB to 16TB of capacity via a monthly subscription. Not married to Google? It has some competition, too. Dropbox’s mobile apps integrate nicely with iOS and Android. With Dropbox, you get 2GB of online storage at no cost, and you can unlock additional storage (up to about 15GB to 20GB can be had for free) for performing certain tasks such as enabling automatic upload of pictures on your mobile device. Dropbox subscription plans add 100GB to 500GB of storage for $100 to $500 per year. For the admittedly hefty prices, you get priority access to Dropbox’s support team and more bandwidth allowance. Dropbox has apps for PC, Mac, and Linux on the personal computer side, and mobile apps for Android, iOS, BlackBerry, and Windows Phone. What sets it apart from the other services is how it deeply integrates with each operating system. On Android and iOS, for example, you can set the app to automatically upload pictures you take on your phone to your Dropbox. On your PC, you can keep a separate folder for Dropbox so that you can easily upload files to the cloud. SkyDrive has iOS and Android apps but integrates best with Windows Phones. Microsoft’s SkyDrive gives users 7GB of free storage. Subscription plans add 50GB to 200GB of storage for $25 to $100 per year—a bit cheaper than other options. 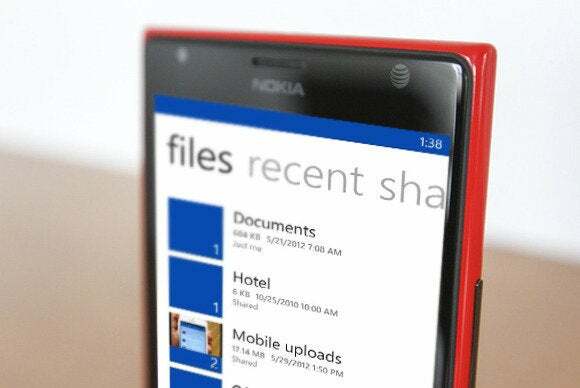 Users can access SkyDrive files via a Web app, or through apps for iOS, Android, and Windows Phone. Surprise: SkyDrive is deeply integrated with Windows 8, RT, and Windows Phone. On Windows Phone, SkyDrive is built into the Photos hub, so you can easily save pictures and videos to your SkyDrive storage. On all Windows platforms, you can save and access your Office files anywhere, and they look good on all devices from phone to tablet to PC. The service works well on other platforms, but the experience will always be a bit better on Windows devices. Nothing against the calendars in Outlook and Drive, but these third-party apps can add key enhancements. Any.do is a simple-to-use cloud-based task list that lets you set target completion deadlines, add reminders, and of course, remove tasks from your list as you complete them. Each step takes just a few seconds, meaning you’ll be more likely to use the tool than tire of it—something that can’t always be said for the arduous processes of full-fledged programs such as Microsoft Outlook or Google Calendar. The Any.do app is available on both Android and iOS, and a Google Chrome extension lets you manage your tasks from any PC, Mac, or Linux computer. The company behind Any.do also provides a Calendar app, Cal (iOS and Android), that connects to your Any.do task list. A simple and free online scheduling tool, Doodle makes it easy to figure out when everyone in a group is free. Instead of tearing their hair out trying to reconcile everyone’s conflicts, the meeting organizer sets up a survey with potential dates and times for the meeting. Each participant responds with their free times, and then the meeting organizer can set up the meeting right from within the Web app. Users can connect their Google, iCloud, Outlook, or Microsoft Exchange calendars. Doodle is accessible via any Web browser. The Android and iOS apps inexplicably cost $3 each and are inferior to the experience you get in a mobile browser. Evernote needs no introduction. With Evernote, you can quickly jot down notes complete with pictures and audio clips, set reminders, or add to-do lists, all of which then sync to the cloud so that you can view them on any device. Evernote Premium users ($5 per month or $45 per year) get offline note-taking capabilities on mobile devices, better collaboration tools, passcode locking, more upload capacity, and smarter searching. A Presentation Mode for your notes is a cool feature limited to Mac users for now. Evernote offers mobile apps for iOS, Android, Windows Phone, and BlackBerry, as well as for Windows 8 touch devices. You can also install apps on nontouch Windows computers and Macs by way of Evernote’s download page. OneNote’s wheel-based control scheme (Windows 8 app pictured). OneNote lets you take notes digitally as you would in a typical composition notebook, and you can create different “notebooks” for different topics. Apps are available for Android, iOS, Windows Phone (app preinstalled), and Windows 7/8/RT, and with Office Web Apps on any Mac or Linux device. The Windows 8 app is where OneNote truly shines, not surprisingly. In addition to taking notes with embedded images and spreadsheets, you can capture anything on your Windows 8 screen using the Share Charm and add annotations to make the image meaningful. We’d like to see Microsoft include this feature in all versions of the OneNote software. When you’re on the go, having tools to connect with your colleagues—or directly to your office PC—can keep you from running aground. Although this arena sees significant competition, the following two tools offer the best feature sets—and they’re free. Now owned by Microsoft, the Skype videoconferencing and calling service is available on all major platforms, including Windows, Mac, and Linux computers and Windows Phone, Android, iOS, and BlackBerry mobile devices. Not surprisingly, Skype is deeply integrated into Windows 8.1 and 8.1 RT, and it also integrates with the People Hub on Windows Phone 8. The thing everyone loves most about Skype is still present: Phone and video calling between Skype clients is free, and Skype users can call a mobile or landline telephone anywhere in the world for a modest per-minute fee. 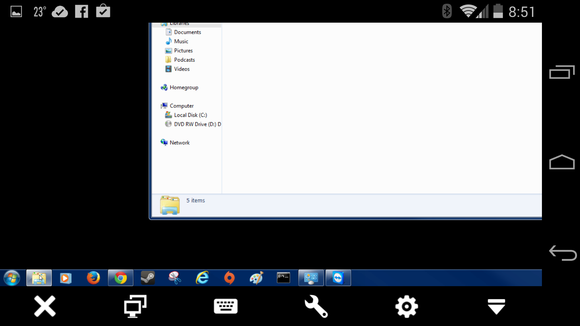 TeamViewer is a free application that lets you access your Windows, Mac, or Linux computer remotely from your Android, iOS, Windows Phone, or Windows 8/RT device, provided that your main computer is powered on and has the TeamViewer app installed. In our testing, we easily connected to our Windows and Mac machines from an iPhone, iPad, Nexus 5, and Windows 8 tablet device, and each worked fairly smoothly.